Wishing you could be organized? This homeschool planner makes it possible! And easy! If you are homeschooling, you've needed to make some pretty major decisions. 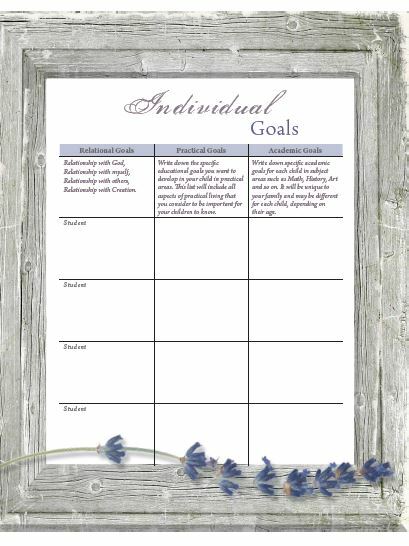 To organize your goals, curriculum and plan for a year, seems yet another set of decisions. 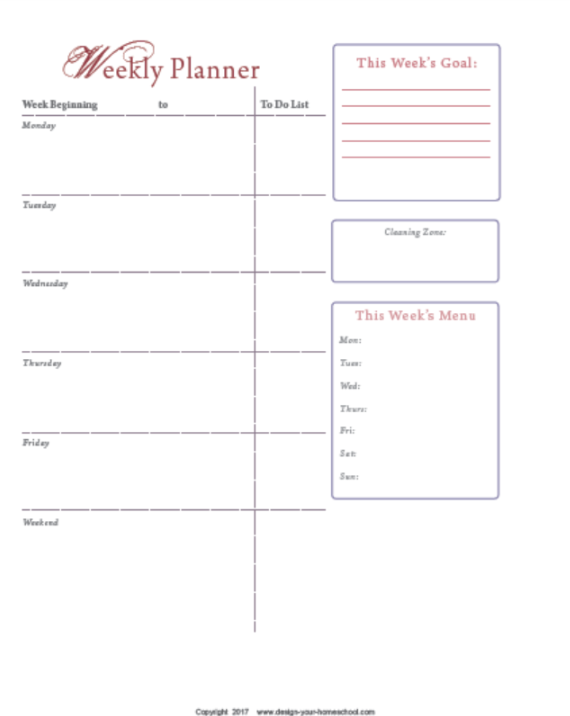 Then, to make a home school planner and decide on which pages to collate - seems like another decision that some families just don't want to make - and with Keep on Track - you don't need to. 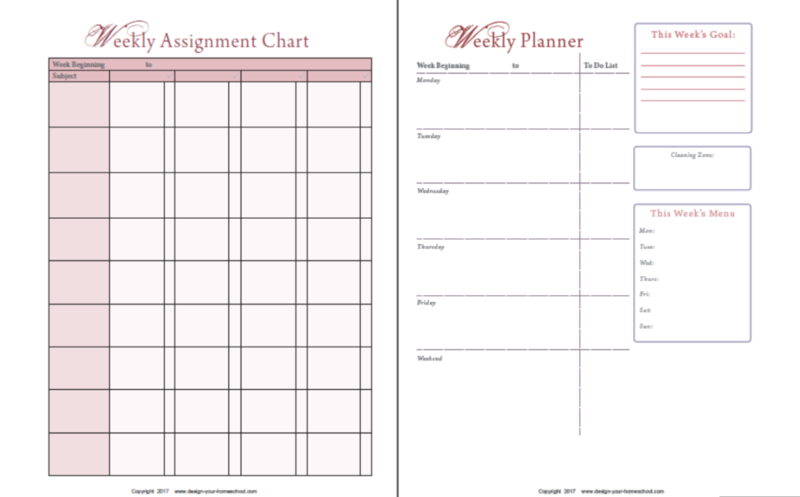 Keep on Track Home-school Planner is written just for you. It is simple, but yet deliciously stylish! Keep on Track is a simple planner, yet stylish and will help keep you on track. It's even simpler now - because this planner has no dates! I have made many planners over the years for many homeschooling families each with different needs. Each year - our own needs change and so my changes reflect that also. This Keep on Track planner is a 'simple' option because the planner is already organized for four children. It is already laid out so all you need to do - is to print. Other homeschool planner options I have are for those who know exactly the pages they want and for those who are prepared to pick and choose and organize it themselves. 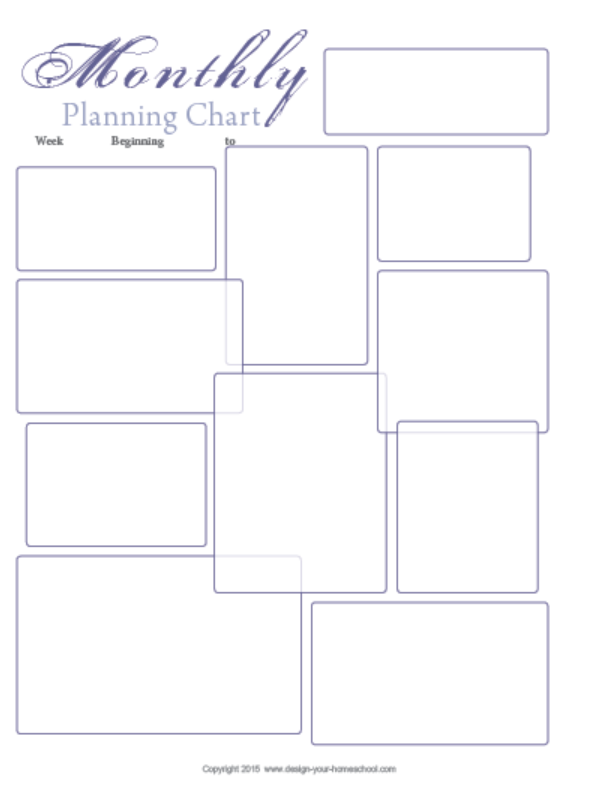 So, if you're brand new to the whole idea of organizing your homeschool, and it all seems far too overwhelming, you will most likely feel most comfortable with this planner which is proven to help you keep on track. 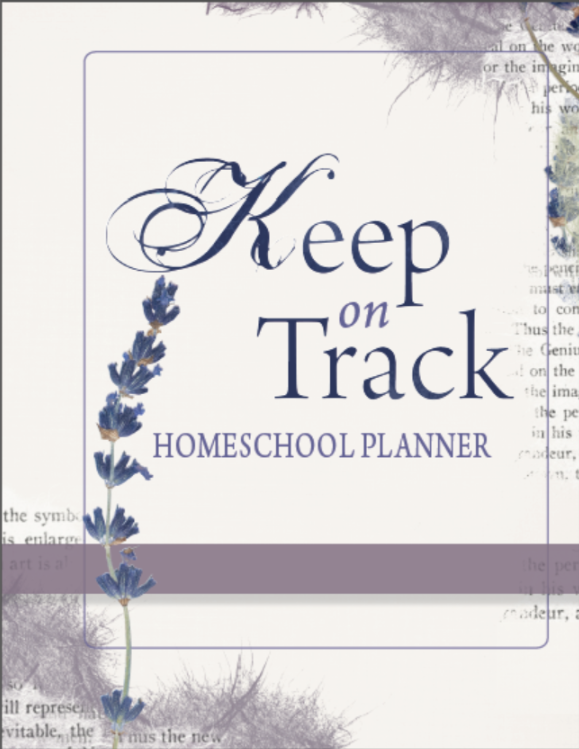 Keep on Track Homeschool Planner has all the planning pages you need to homeschool up to four children. It is complete and ready for you to download and print. beautifully presented with gentle fonts - some colour, but more white than the previous Keep on Track Planner - so it's better for printing too! not too cluttered - more space for you in this new version. each month is presented in a different style for easy referencing - without dates! download to your computer and press print! bind it your way - coil or in a three ring binder - your choice. 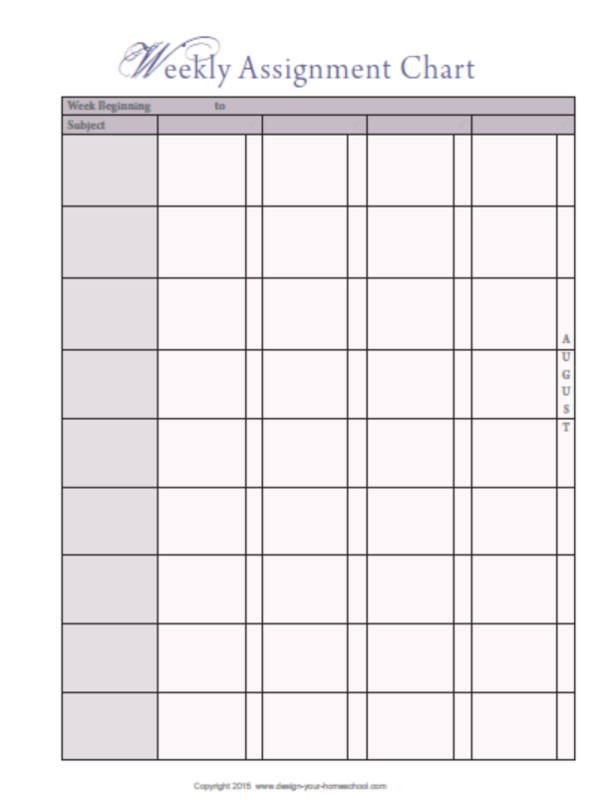 What is included in the Homeschool Planner? 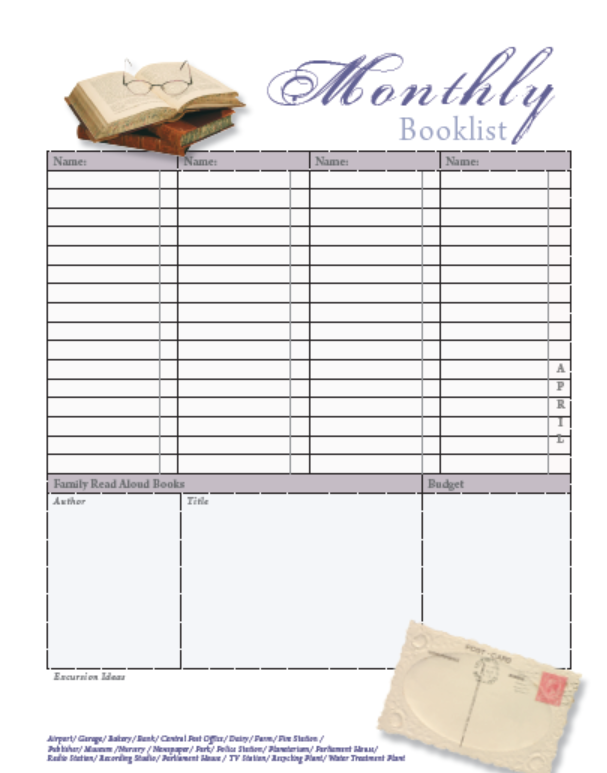 This homeschool planner gives you the complete option without the headache of too much choice! It's all done and ready to go! 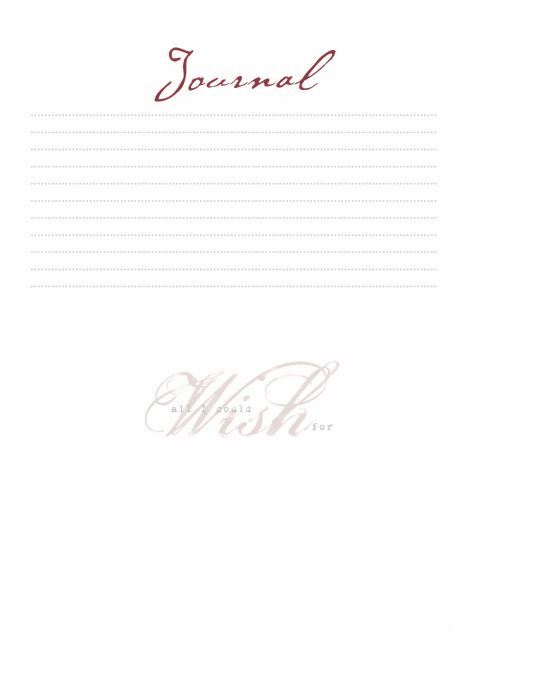 A simple, neat 130 page planner is now available for your student. There are 12 portrait calendars, but no month titles or dates, so this planner can be used whenever it suits, again and again. It is a great way to help your child take charge of their own education. 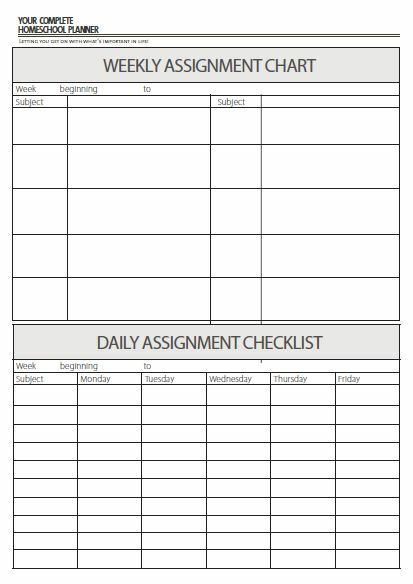 They can fill in their assignments, check off the subject area when they work on it through the week and complete their 'goals' page. Since we want our children to understand that education is all of life, it is important that they see how what they do fits into the bigger picture and is a way in which they are working on their own personal goals. Relationship Goals: That looking after a sibling, planning a birthday party, helping out with a community group are all ways that they develop Relationship goals. Practical Goals: We want them to understand that doing chores, fixing a bike, working out computer problems, tidying up toys, baking a cake and mowing the lawn are all practical skills and a part of their education. Academic Goals: We want our children to see that if they want to progress in their understanding of any subject, they need to acquire knowledge and work on academic skills. 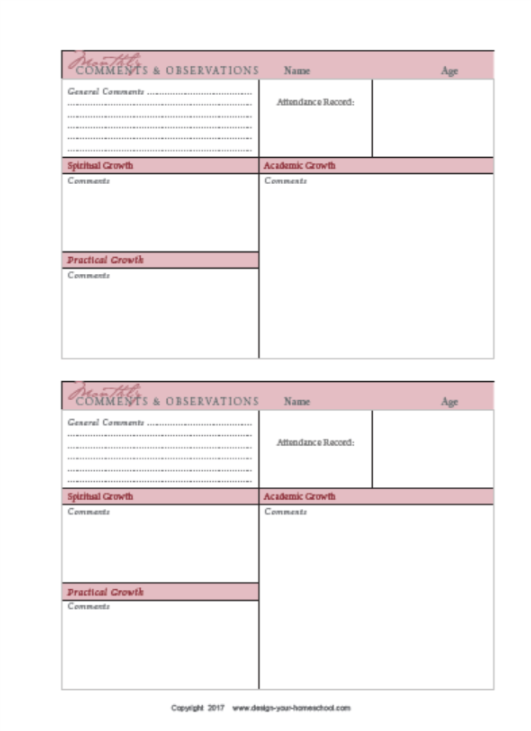 This planner can help your student see their whole life as their education. 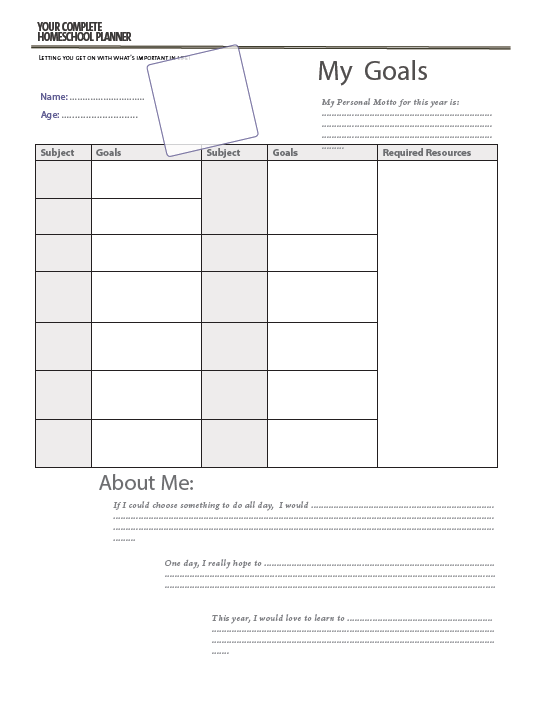 More information about how this can be useful for homeschool record keeping here.